What harm can there be in talking to Conrad Verner? Well for PS3 players of the Mass Effect series not being able to talk to Shepard's huge fan in the first instalment of the series can lead to missing out on a entire story arc that plays our over the entire Mass Effect series. 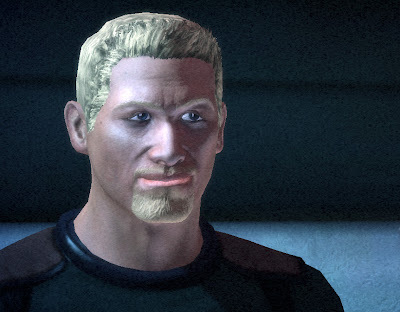 Conrad Verner is first met on the Citadel where he asks Shepard for an autograph and secondly a photo, if Shepard tells him to get lost he is later killed after trying to do his part in representing humanity. However if Shepard obliges a seemingly minor encounter can spike a series of events that carries through to Mass Effect 2 where he can be found on Ilium. Again if Shepard tells him to get lost he is later killed with a rather humerus story line, but if Shepard helps him he sets up a charity foundation for refugees and orphans. Finally in Mass Effect 3 Verner can be found in the refugee sector of the Citadel recruiting for Cerberus, talking to him can eventually result in Verner revealing his Cerberus contact to Shepard where if Shepard had contact with Jenna (another Mass Effect character) then Conrad will be saved, if not his will die protecting his hero. Sadly for PS3 players, not having the opportunity to play the original Mass Effect leads to these stories and many other not being told. Its a small but very important part to making your Shepard's story complete. If you would like the chance to play Mass Effect 1, 2 and 3 on PS3 please support our cause, the more people who support ME1 on PS3 the more likely it is to happen.